Death is much like the famous aphorism about opinions: everyone will have one. Unlike opinions, we tend to keep our thoughts about death to ourselves. On one level, this makes sense: death is scary and it’s a downer, sure to put a damper on any conversation. But on another level, it is our avoidance of the topic that makes death scary. 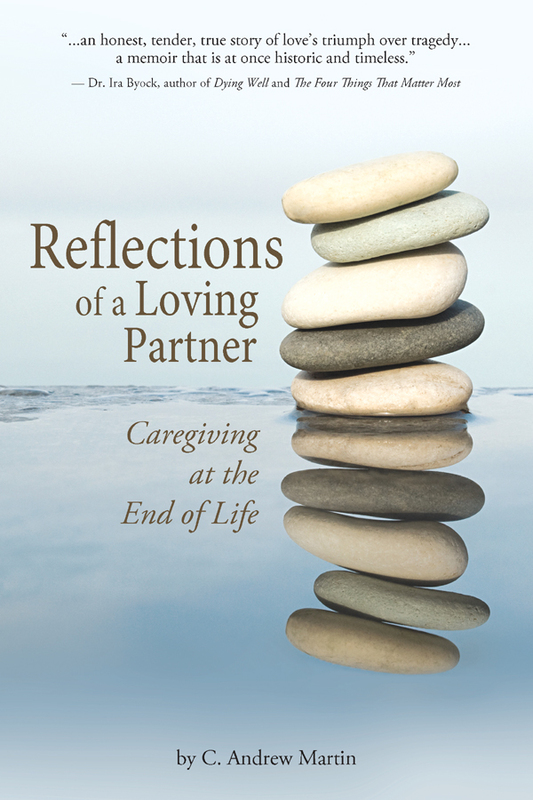 In Reflections of a Loving Partner: Caregiving at the End of Life, author C. Andrew Martin not only makes the case for a healthy discussion of death, he models how to talk about death and offers exercises to assist the reader in considering the inevitable. Reflections is equal parts memoir and self-help book. Martin became an expert on death and dying in the worst way possible — through the AIDS diagnosis and eventual loss of his partner Gil Victor Ornelas in the mid-1990s. Rather than passively watch his beloved slip away, Martin took action, enrolling in a hospice volunteer-training program so that he could become a more effective caregiver. I am one of those people who grew up bombarded by messages from the mainstream Jewish community denouncing intermarriage as the worst plague affecting the Jewish people. Often, when whoever was railing on was feeling charitable, their rant would include a parenthetical reminder that converts were considered fully Jewish, so marrying a convert to Judaism wasn’t intermarriage.